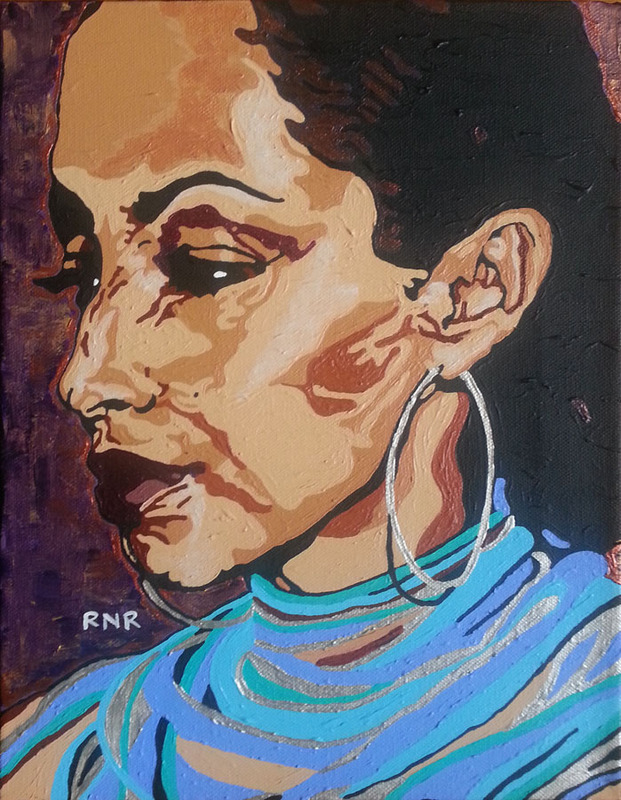 A portrait of Nigerian-born English singer and songwriter Sade Adu. Sade listened to American soul musicians such as Donny Hathaway, Curtis Mayfield and Bill Withers. Moved by the audience that the Jackson 5 drew to them, Sade aimed to attract an audience like theirs, one that included "kids, mothers with children, old people, white, black." She possesses a contralto vocal range that has been described as "husky and restrained", and has been compared to jazz singer Billie Holiday. An authentic artist always remaining true to herself, Sade has influenced numerous musical artists of various genres, such as hip hop artist Rakim of Eric B. & Rakim and Chino Moreno of the alternative metal band Deftones.